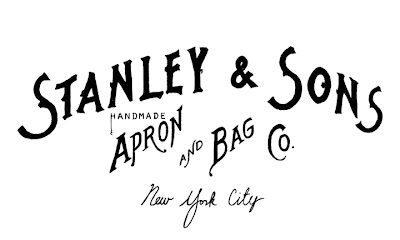 The Stanley & Sons Apron and Bag Supply Co. is a Brooklyn based family factory producing hand made aprons and bags for three generations now. Each bag and apron is made one at a time, bags primarily from repurposed dead stock vintage Army and Navy textiles. 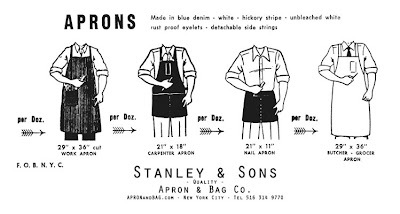 Aprons from handsome waxed canvas and hickory striped denim.